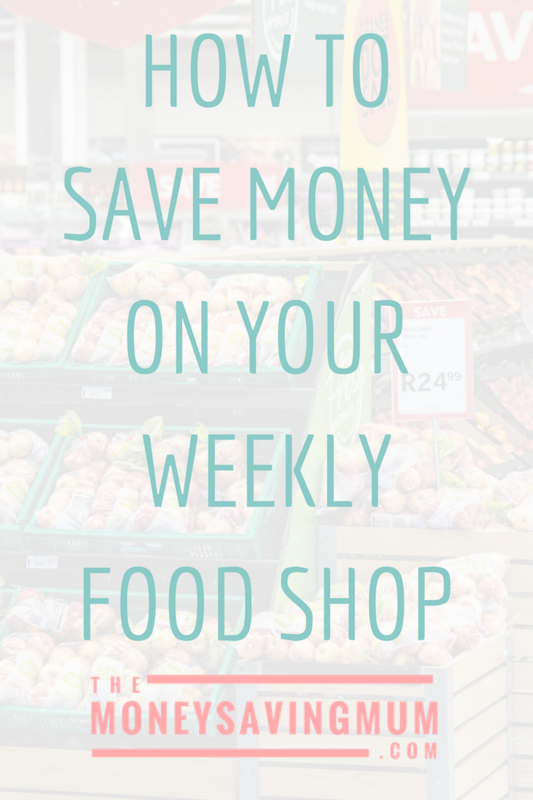 A couple of months ago within numerous #5frugalthings I mentioned about me doing our food shopping at anywhere BUT Asda. Heron & Iceland had become my supermarkets of choice but things just haven’t worked out as I had planned. I’m finding we are actually spending far more than ever before going to various places rather than just the one. I would go into Heron on a Monday and because I couldn’t get everything from that one store for the whole week I’d end up nipping next door to Co-op and noticing the Nutella on offer or when at Iceland realise I too needed babywipes (something again they don’t sell) so I’d nip over to Asda and notice crisps were on offer. The same crisps I had bought earlier on in the week from Heron! We were either doubling up or not buying at all meaning a trip to the overpriced local shop/petrol station occurred more often than not. I’ve decided that we need to revert back to one shop ideally a shop that I can pick up from or get delivered so I’m not tempted to buy something that’s on offer as I walk by it. I really really REALLY do not want to go back to Asda. If you are a follower of our YouTube channel you will know the problems we’ve encountered with our local click and collect (that it’s never available or working!) and it’s just a lot more hassle than it’s worth. But then there are things that we still nip to Asda for every week (antibacterial wipes, toilet rolls, nappy bags and make your own pizza)!!? Asda is free collection if over £25 but £4 if I want it delivering at the same time as my Iceland delivery! So this week I’ve ordered from Iceland (£35 inc free delivery) and Asda (£27 collection). We should NOT have to step foot in another supermarket this week. Maybe the greengrocers at the back end of the week but there’ll be no nipping in Heron or Tesco’s or anything…. this weeks shop is done !!!! Initially I know that might sound a lot but as it’s the first week I have all intentions of from next week doing one or the other and not both. I’ll of course keep you updated as far as how long this lasts… it was difficult initially because I’d never ordered from Iceland before and they don’t do everything (they don’t even do Granny Smith apples which I found odd!) so to navigate round took me a good hour or so but it’s done now so shouldn’t have that issue in the future. Oooooh I’m so excited for my first ever home delivery on Monday!! Previous Post Who knew getting married could save you money..? Next Post I’m in recovery!